Violet (Viola spp. ): growing, planting, caring. A genus of flowers with many cultivars and just as many shades and colours. Scientific name : Viola spp. Viola - the violet - is a genus of flowering plants in the family Violaceae, with little less than 600 species. Some species of the genus are perennials, some are annuals, and a few are small shrubs. 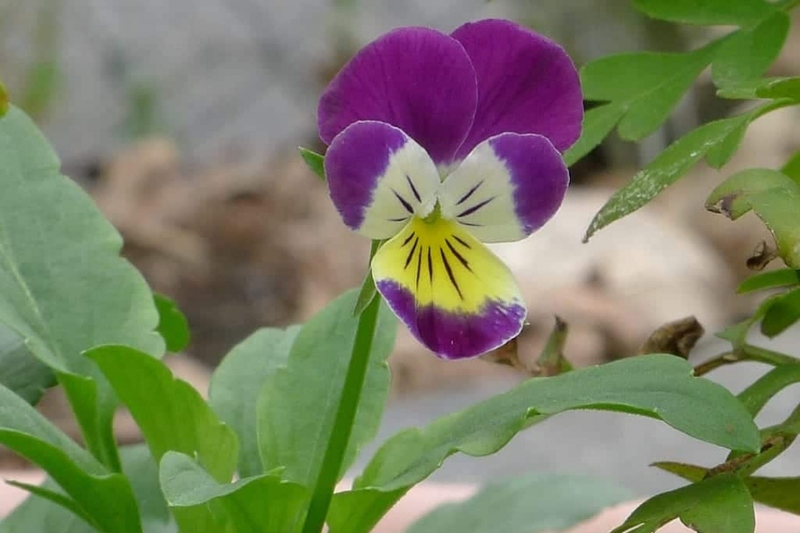 The term "viola" or "violet" is normally reserved for small-flowered perennials, while a large number of annual species, varieties and cultivars are grown under the name « pansy » - for their ornamental multicoloured flowers, used extensively in bedding. Viola is a genus of perennial herbaceous plants: depending on the position of the petals, the species are called "violets" or "pansy". Violas gave horticultural varieties with large flowers. Over 500 species spread throughout the world, forming many hybrids that make determination sometimes delicate! Many varieties are easy to grow: the hybrid Viola × wittrockiana is the predominant variety of cultivated pansy. A subspecies of wild thought, Viola tricolor hortensis, is also present. To obtain a good flowering over a long period, vary the sowing periods. 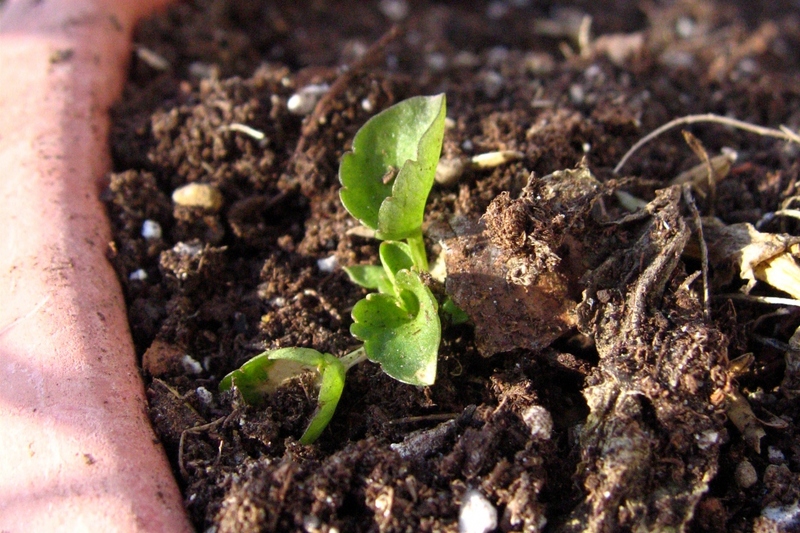 Sowing is usually carried out from June to August. For a bloom during the summer, sow in open soil in the spring. For a bloom in autumn, around June. Water once or twice a week as soon as the surface looks dry. One month after emergence, plant every 10 cm, counting 9 feet per square meter. Remove the seedlings carefully using a transplanter to keep a clump of soil around the roots. If the soil is dry, moisten it a few hours before planting. If you buy your violas in a bucket, you can plant them in open soil or in pots in the fall or in early spring. Dip the clumps in a tray filled with water to moisten them well. Plant them when the water is no longer flowing out of the bucket. Prepare the soil: make holes, and mix the soil with potting soil, sand and peat dust. Put the plants in there. Cover with soil and tamp gently to remove air around the roots, then water. Water during the summer season once or even twice a week if the weather is dry. Remember to keep the leaves dry ! You can divide most varieties in the spring or fall. Choose old plants, which do not bloom a lot. Dig them up with a pitchfork, taking care not to damage the roots. Push the pitchfork in the center of the tuft to divide it, with a strong kick. Replant the two tufts without waiting. Mulch around your violas, it will limit watering and weeding during summer, and - even if the violas are rather sturdy - it will protect the roots from the winter cold. Violas are particularly sensitive to late blight - mildew - which causes the rot of their roots. The leaves are covered with irregular spots, on both sides, white, gray or purple, accompanied after some time by gray or white felting. This is due to excessive humidity and coldness. 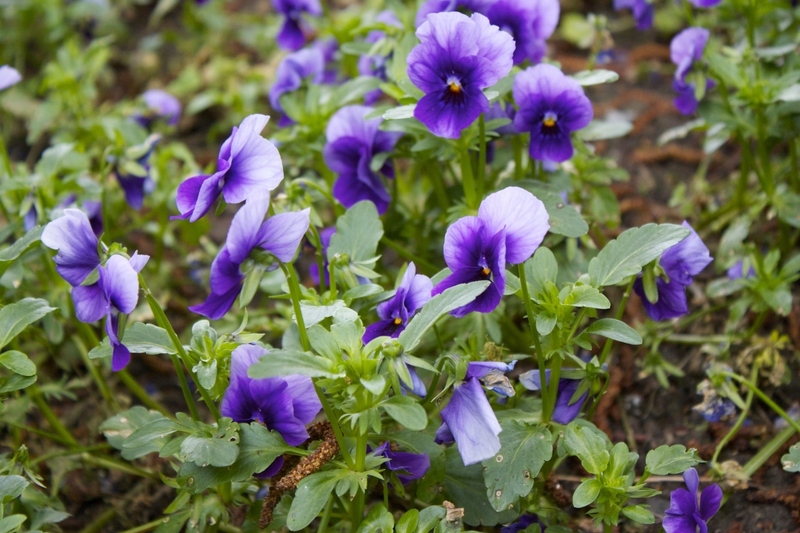 Space your waterings and if necessary replant your violas in a place where the water is not likely to stagnate. Morning watering often helps the plant to resist better. A little trick: use baking soda to prevent mildew: a spoon of bicarbonate in 2 liters of water, and a little bit of soap. In case of slug attack, install beer traps - they love it!